shop these items: 1. table tiles coasters from , 2. magnet set from , 3. light bulbs from , 4. flip clock from , 5. by edward lee, 6. steel shears from . 7. wireless speaker from 8. hot or cold bottle from , 9. beats headphones from . The coasters are so cool looking I couldn’t tell what they were at first! 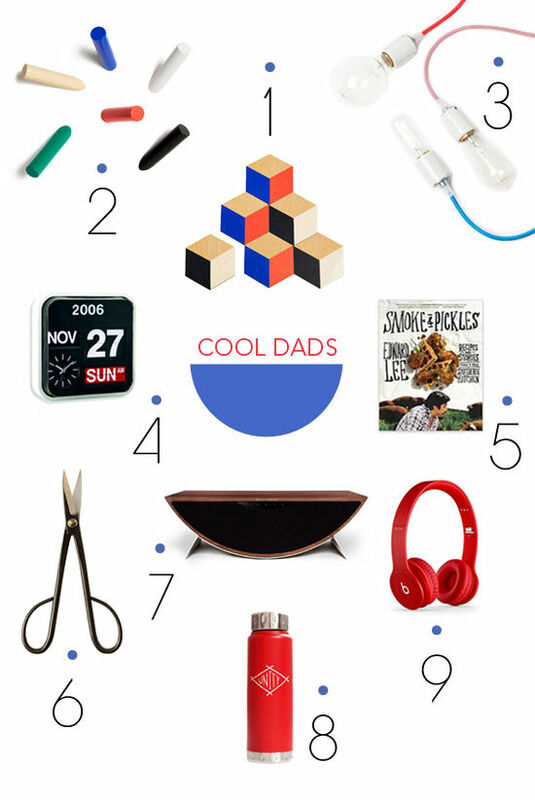 Love these gift ideas for Father’s Day! That wireless speaker is such a cool shape.